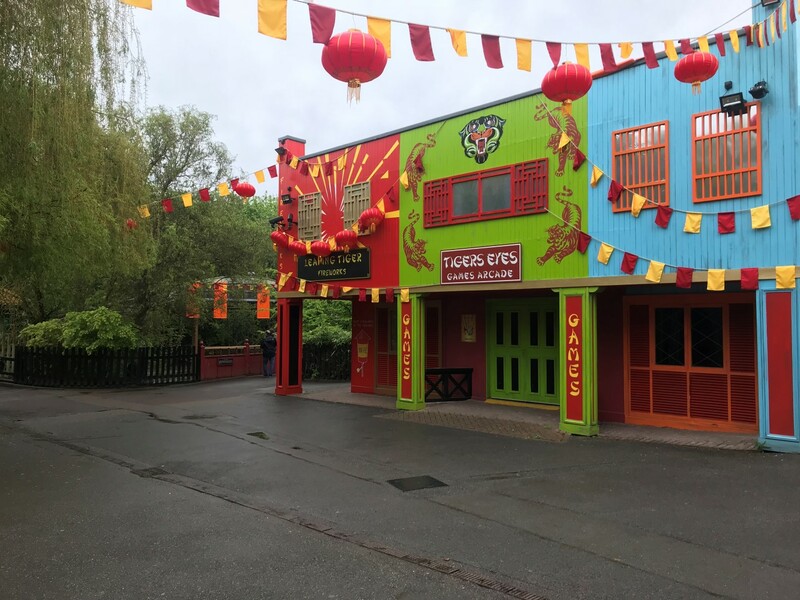 Following in the recent footsteps of Runaway Mine Train to Scorpion Express in 2014 and Professor Burp’s Bubbleworks to Gruffalo River Ride Adventure in 2017, Tiger Rock is the latest ride at Chessington World of Adventures to be refurbished. 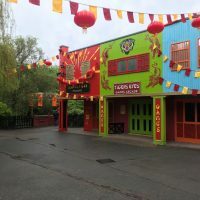 The Dragon Falls log flume opened in the same year as the theme park in 1987, and was widely regarded as one the best themed water rides in the UK, in one of the best themed areas called “Mystic East”. 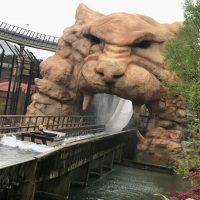 After soaking millions of riders for 30 years, the attraction started to look tired with most of it’s theming appearing dated and some, most notably the large stone heads, were removed. 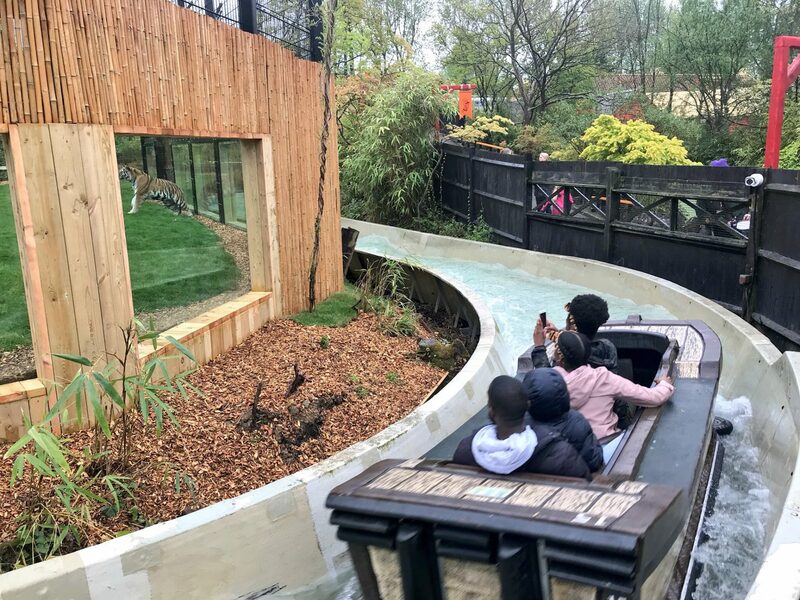 Roll on to 2018 and visitors to Chessington World of Adventures are, quite literally, taking the plunge on a modernised, improved and exciting ride experience. 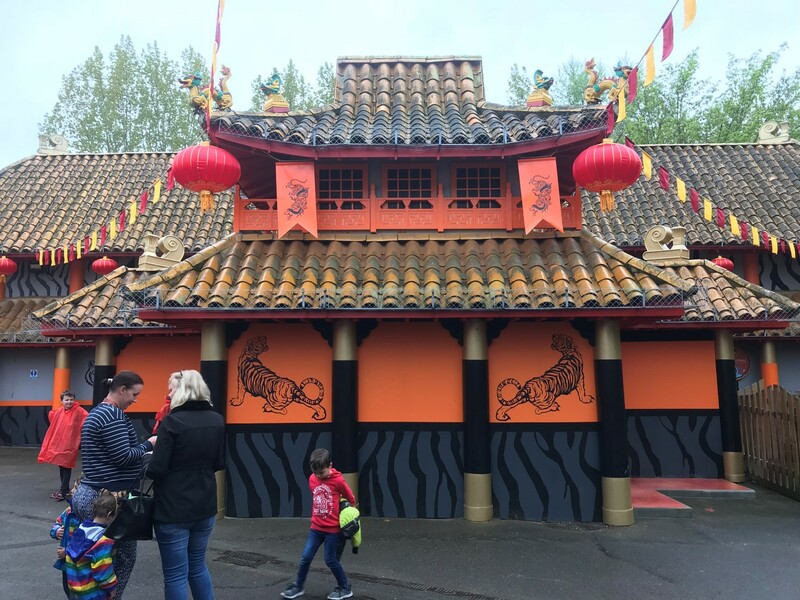 The transformation of Dragon Falls into Tiger Rock is immediately noticeable. 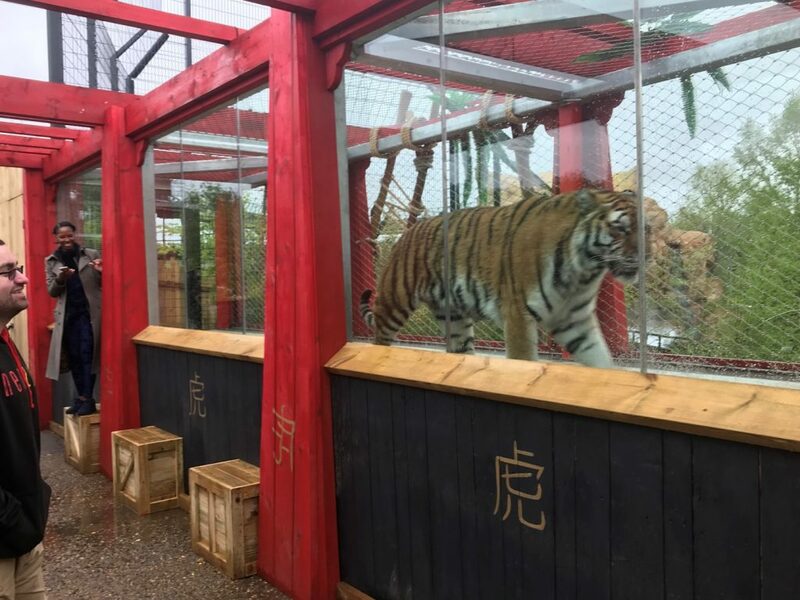 The Mystic East area is now The Land of The Tiger – and it’s evident why. Tigers, actual real tigers, dominate the entire area. 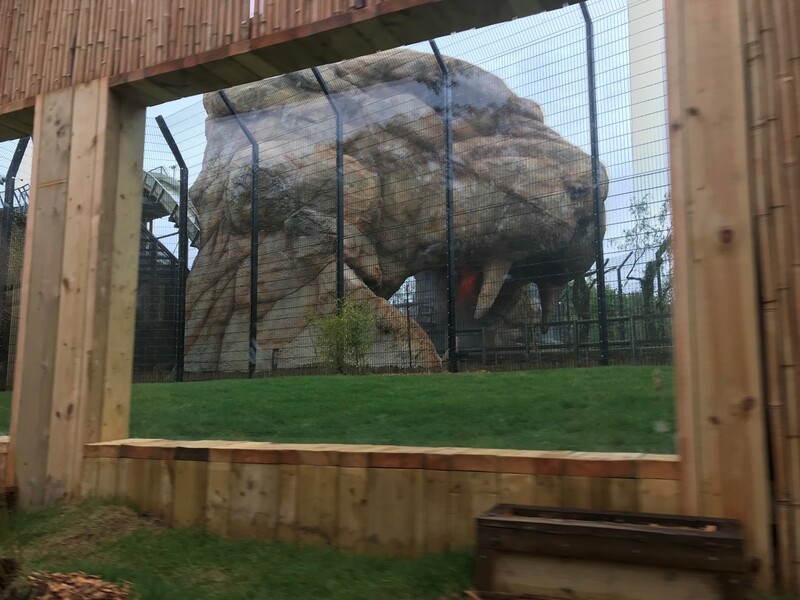 Tiger “crossing points” and observation areas dominate the area and encapsulate the ride as guests make their way to the ride entrance, allowing them to get up close to the beasts. 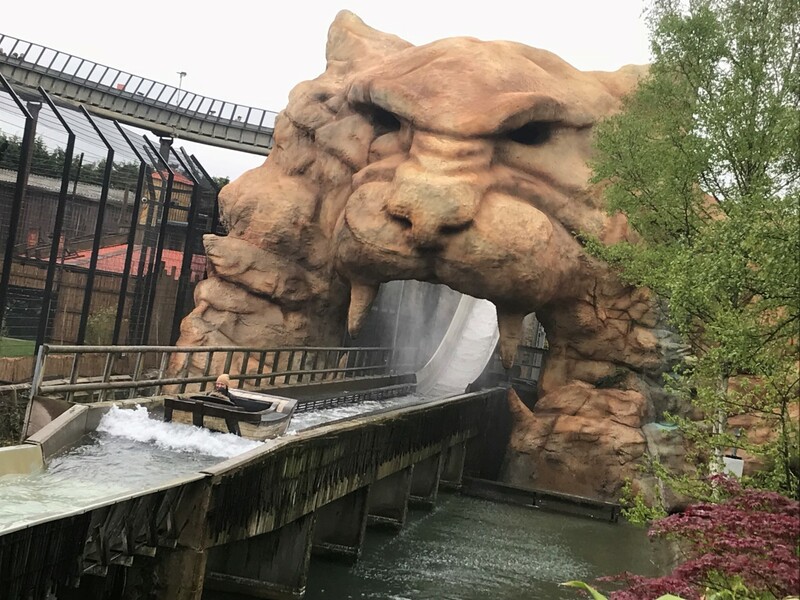 The once naked main drop of the log flume has an impressive tiger head structure, which is a great photo opportunity for spectators. 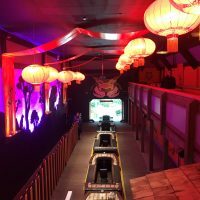 For those who remember Dragon Falls, the retheme of the dragon tunnel might look disappointing from the outside, but the actual ride experience now has a subtle storyline that plays out inside the tunnel. 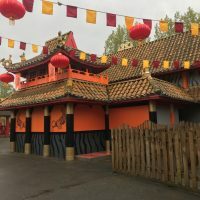 The ride is billed as a “journey through the spirit of the tiger”, with the walk through the area towards the newly repainted and vibrant entrance area, being the first steps of the journey. 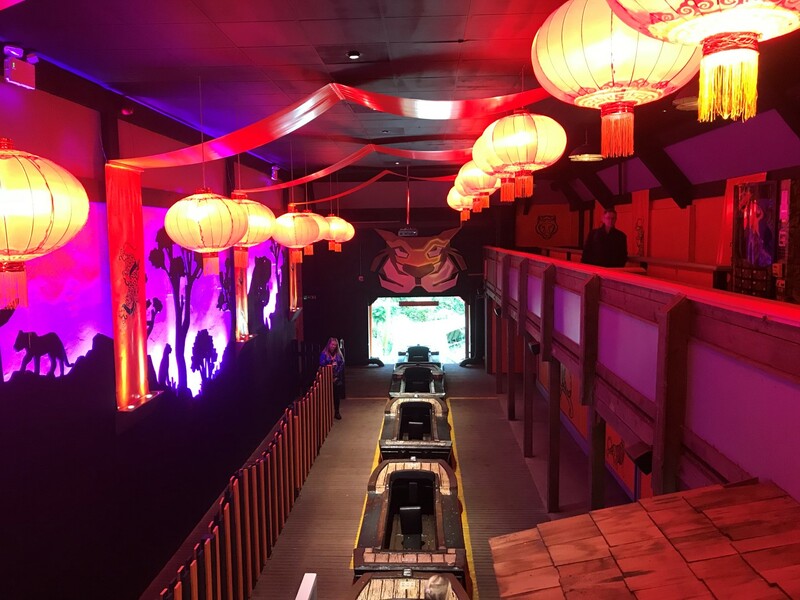 It’s in the ride station where the experience really begins. 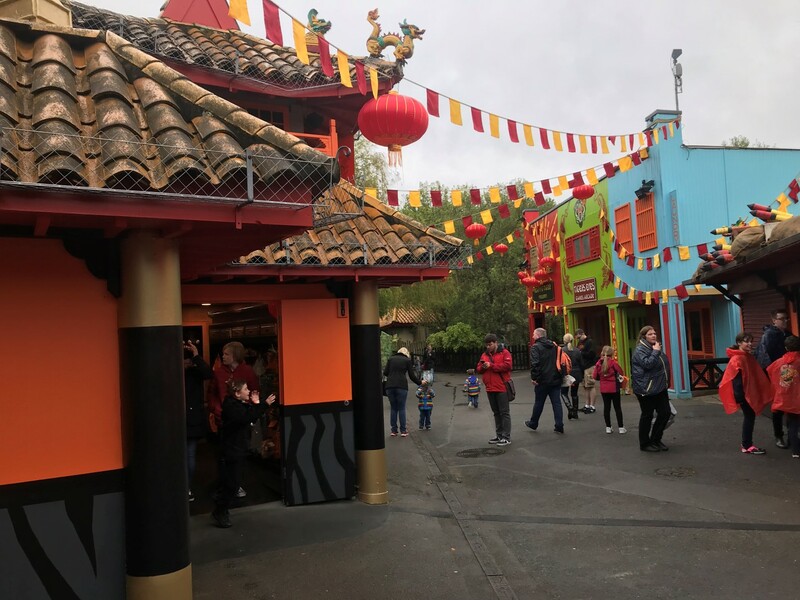 The beige appearance of the Asian themed station has been replaced with a colourful pallet and makes great use of special effects such as projection mapping, music and lighting. 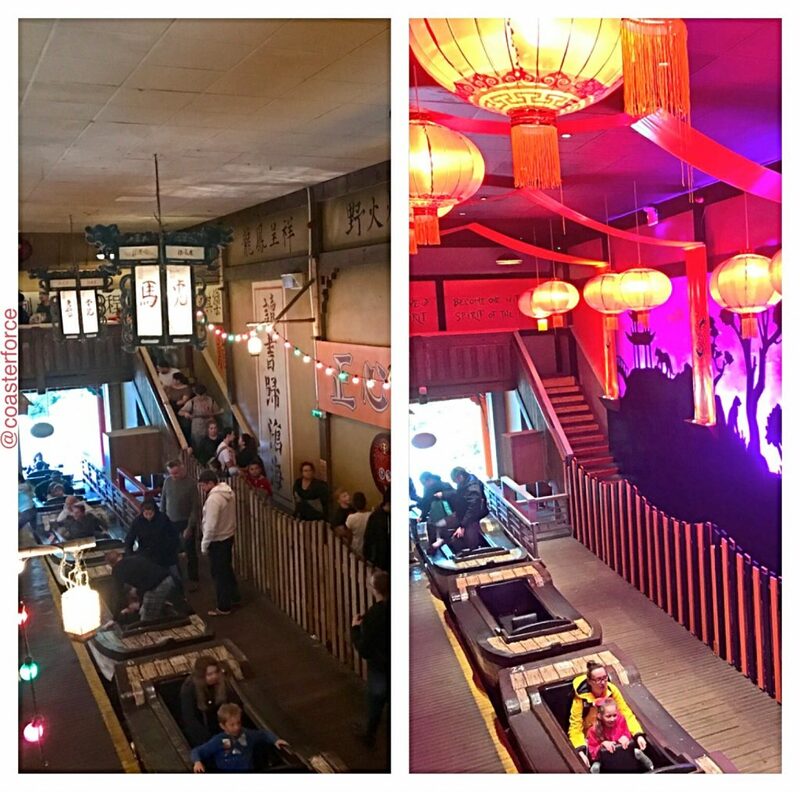 It’s worth hanging in the station for a few minutes to experience the ride’s preshow. 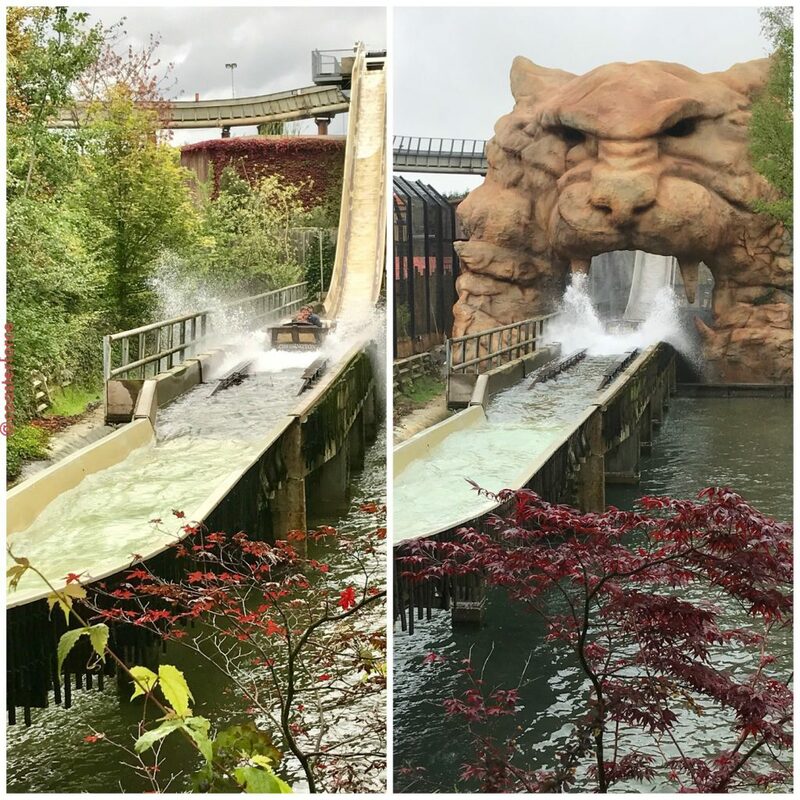 The boats remain the same and the flume course is unchanged (as originally built and designed by Mack Rides), but Tiger Rock’s surroundings trumps Dragon Falls. 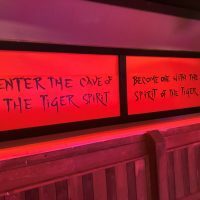 The interior of the (old dragon) tunnel no longer has exposed metalwork and styrofoam; it a reenergised cave that, again, utalises special effects and theming. 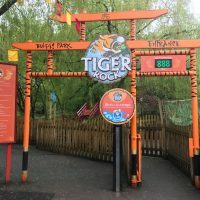 After the tunnel, riders sail past a tiger enclosure which, if the tigers are in there, makes all the difference to the ride experience. 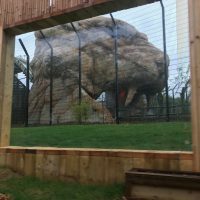 Zoo meets ride, awesome! 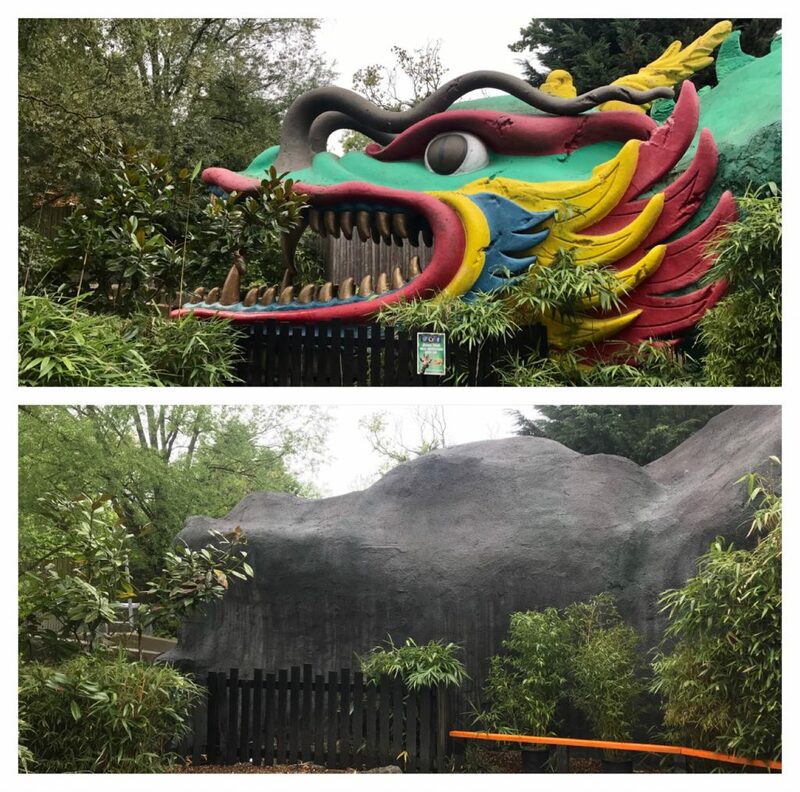 The section after the tiger enclosure and towards the big drop is similar to Dragon Falls, not much is going on, but the big drop itself is improved by the huge tiger head structure. 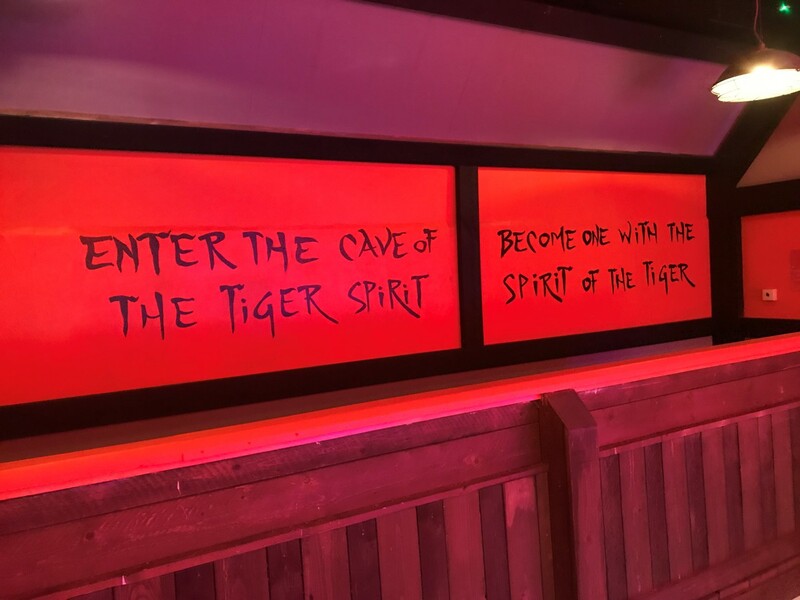 There’s the excitement of going through the tiger’s head (presumably symbolising being released from the tiger spirit…?) and not being able to see the bottom of the drop. This makes the big drop seem bigger! 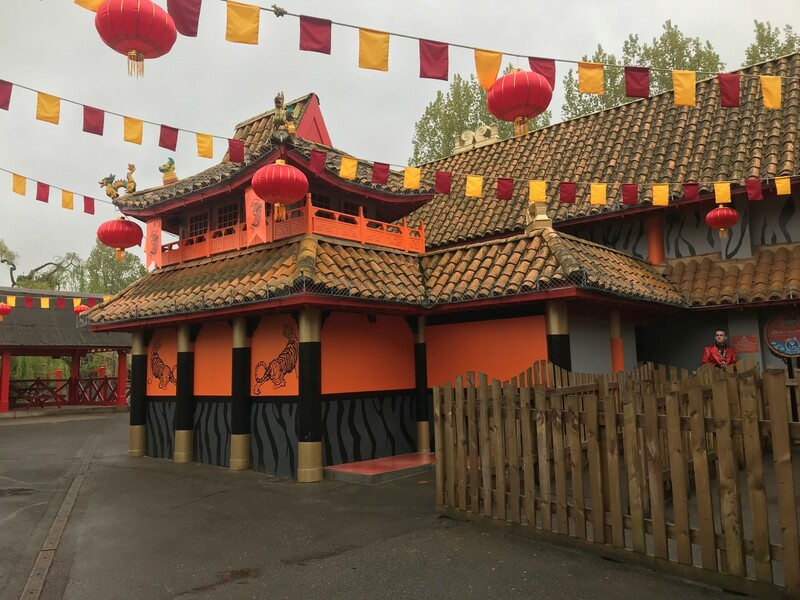 Although some Chessington stalwarts might argue that Tiger Rock doesn’t have the charm of its predecessor, it does look and feel like a vast improvement, especially if Dragon Fall’s appearance in recent years is taken into account. 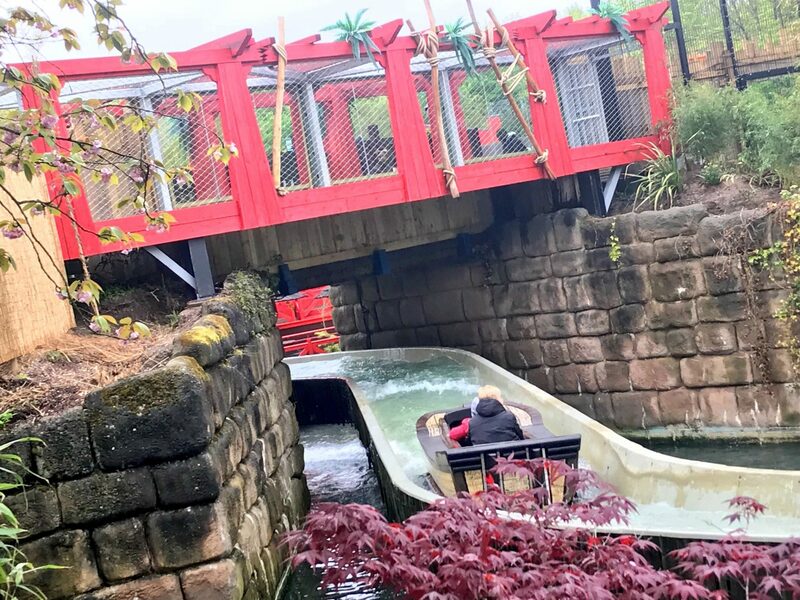 It won’t take long for the old flume to become a happy, yet distant, memory and for Chessington to once again claim the title of having the “Best Log Flume in the UK”. 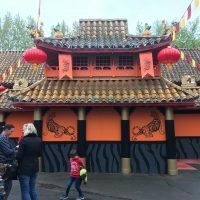 Chessington World of Adventures website. 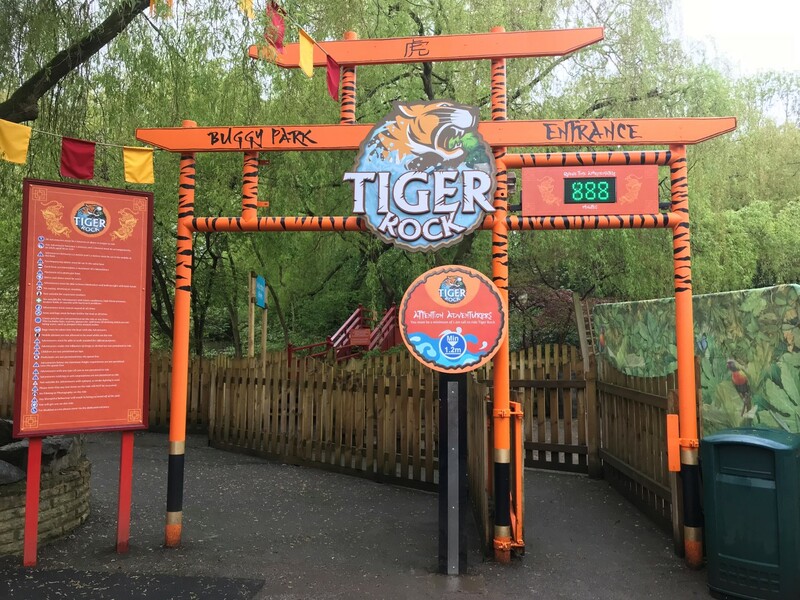 This entry was posted in Features and tagged chessington, cwoa, dragon falls, log flume, tiger rock. Bookmark the permalink.